POLSON — Kaiden Able Jerome was born April 10, 2018, at the Nesting Place in Providence St. Joseph Medical Center. He was 19 and three-quarter inches and weighed 6 pounds, 4.2 ounces. His parents are Rheanna Kirk and Glen Jerome Jr. of Polson. POLSON — A.J. 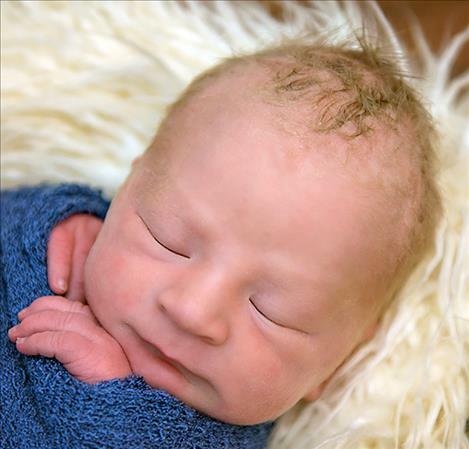 Balletto is proud to announce the birth of brother, Alexander Augustine Balletto. 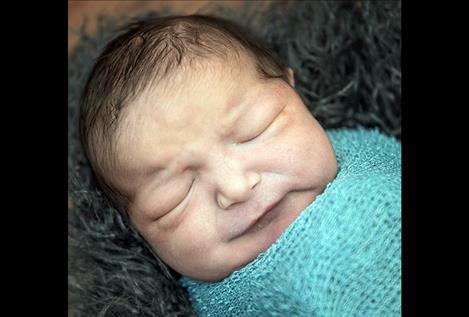 Alexander was born April 9, 2018, at the Nesting Place in Providence St. Joseph Medical Center. He was 22 and one-half inches long and weighed 9 pounds, 10 ounces. Alexander’s parents are Ashley and Alfred Balletto of Pablo. Maternal grandparents are Judy and Arnold Cleveland. Maternal great-grandparents are Marilyn and Daniel Shupe. Paternal grandparents are Beverly and Alfred Balletto. Paternal great-grandparents are Hazel and Alfred Balletto. 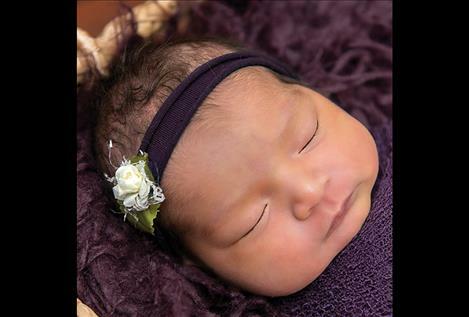 POLSON — JC, Ivy and Erl Cervantes are excited to announce the birth of sister, Arabelle Smith Cervantes. 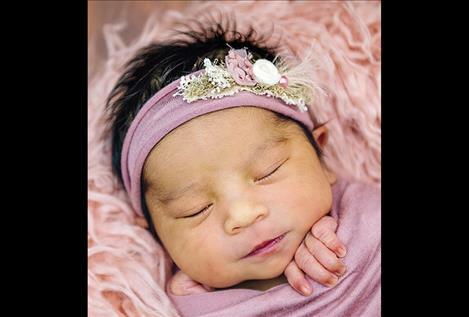 Arabelle was born March 29, 2018, at the Nesting Place in Providence St. Joseph Medical Center. She was 18 and onehalf inches long and weighed 5 pounds, 10 ounces. Her parents are Katherine Smith and Roy Cervantes of Ronan. Maternal grandparents are Wilma and Steve Smith. Paternal grandparents are Yolly and Danny Cervantes. POLSON — Aria Joy Weirather was born April 11, 2018, at the Nesting Place in Providence St. Joseph Medical Center. She was 21 and onehalf inches long and weighed 7 pounds, 4 ounces. 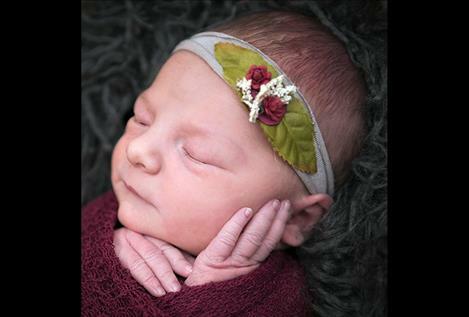 Aria’s parents are Cheyanne Gaustad and Colten Weirather. Maternal grandparent is Mindy Schultz. Maternal great-grandparents are Chris and Jim Schultz and Charlotte Gaustad. Paternal grandparents are Shelly and Craig Weirather. Paternal great-grandparents are Diana and Sam Roosma and Steve Stuber. POLSON — Greyson Leo Basler was born March 23, 2018, at the Nesting Place in Providence St. Joseph Medical Center. He was 20 inches long and weighed 8 pounds, 1 ounce. Greyson’s parents are Marissa and Cody Basler of Charlo. Greyson has a brother, Nathaniel. Maternal grandparents are Lynn and Bam Twoteeth. Maternal great-grandparents are Nancy and Leon Grant. Paternal grandparents are Debbie Haskins and James Basler. Paternal great-grandparents are Mary-Ann and Curtis Haskins. POLSON — Hudson James Matt was born March 29, 2018, at the Nesting Place in Providence St. Joseph Medical Center. He was 21 inches long and weighed 8 pounds, 6 ounces. 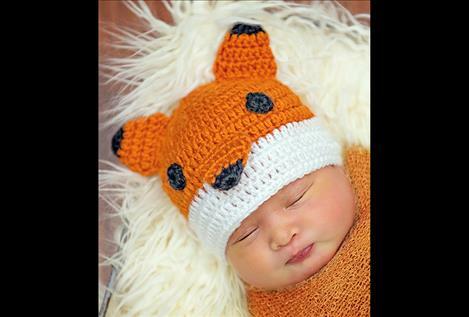 His parents are Cheyanne Smith and Arlyn Matt. Hudson joins Aiden in the Matt home. Maternal grandparents are Billie and Tyler Dumont and Dusty Smith. Paternal grandparents are Betty and Bing Matt. POLSON — Indica LaRoux Antoine was born April 2, 2018, at the Nesting Place in Providence St. Joseph Medical Center in Polson. She was 18 and onehalf inches long and weighed 6 pounds. Indica’s parents are Tamiera Antone and Brendan Antoine. Maternal grandparent is Anna Reino. Maternal great-grandparents are Angelita and Ervin Ramon. 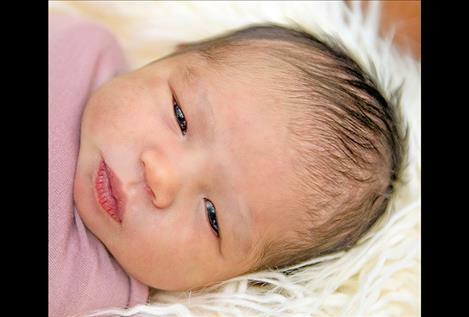 POLSON — Taimane Lehualani Jaeger was born April 9, 2018, at the Nesting Place in Providence St. Joseph Medical Center. She was 18 inches long and weighed 6 pounds, 5 ounces. Taimane’s parents are Makena and Vai Jaeger of Ronan.Maternal grandparents are Robin and Ivan Barbadillo. Maternal great-grandparents are Deeanna and James Pitts.